Chino Hills Businesses are Invited to Join Us! If you are a business owner in Chino Hills, we have a special invitation for you! 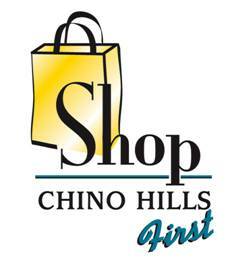 Please join us in our efforts to keep residents shopping locally by displaying your support for the “Shop Chino Hills First” campaign by placing a window decal like the one you see pictured here in a highly visible location. This static cling window decal can be relocated in your front window any time you like. By agreeing to display this decal, you are also encouraging the residents of Chino Hills to shop in your store or the stores in your shopping center. Request a FREE window decal today by e-mailing the Community Relations Division. Please include your business name, owner name, address, and phone number. A decal will be mailed to your place of business.